Recommended size of PV system is 3,6 KW. (attachable at least to 1 x 16A)or 4,2KW (attachable at least at 1 x 20A). The picture shows the movement of the sun in the sky in winter and in summer. In winter (yellow colour) the sun rises in the south-east and goes down in the south-west. It covers over 90 degrees. 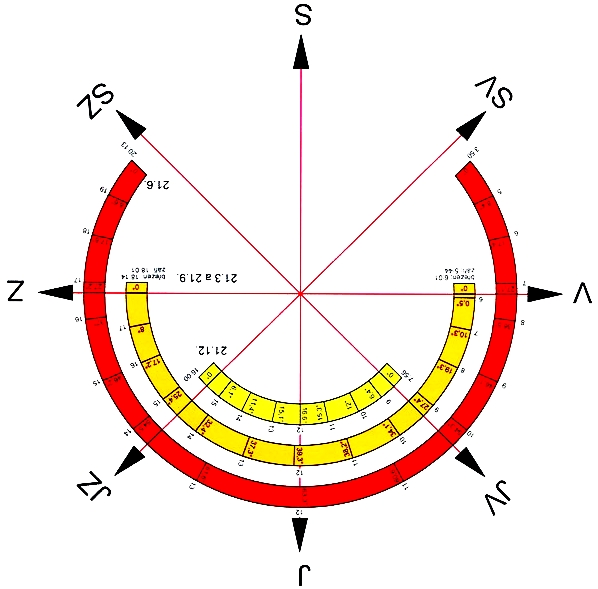 On the other hand in summer (red colour) covers 270 degrees. We can use this information for flat or slighly inclined roofs. At the roof pitch 30-50 degrees, the sun exposure is possible out of 180 degrees. This means that the building can be rotated from the south of 27 degrees on both sides and still will have full exposure. In case that your house is orientated at the southly, don´t worry. You can have your PV system too. There is a basic description by the picture. As a PV seller E-shop have a great access to many experiences. The South orientation is optimal for using the full exposure in winter and in summer. There are the most suitable thin-film panels for covering the all-season production. They are manufactured by CIS technology, which offers high output even in the bad weather conditions. CIS technology - known as CIGS, combines the high output and estethics. The whole panels are black included the black frame. CIS modules are really effectual by weak lightening, because there is used a layer of copper, indium, selenium, gallium and sulphur, which has a maximum spectral sensitivity of all thin-film technology. It is mainly used during the cloudy days. There are on an average 265 cloudy days in Europe and 100 sunny ones. If you have a lot of place on the roof, GIGS are the best option because they need 30 % more place for the same output. When you have a smaller roof, you can use silicon panels for higher outuput. I created a forum for your questions and answers. As a PV seller E-shop have a great access to many experiences. The only option of setting the panels at this shield house is to put them on both sides of the roof. With usage of two different inventers you get the maximum output. The sun shines at the roof from dawn and each inventer produces the electricity according to real exposure. The outputs of both inventers are summed during the whole day. During the sunset the sun shines on the other roof. According the fact that the roof pitches are usually 45 degrees or less, there is enough sun energy in summer, because the sun shines from almost perfect 70 degrees - direct exposure of both roofs. More closer you are to the equator, the more higher it is. With the technology of thin-film panels you use then diffused light on the far side of the roof. So illuminated roof produces fully and unlighted roof goes on scattered, diffuse light. In your case, it is good to have on each side of the roof at least 2.5 Kw. This means that the roof, which is directly illuminated, produces 2.5 Kw, and the other has only the half of power (1.25 kW. This ensures the final power is about 3 KW from both parts of the roof. If you can afford this system, it is preferable to use a stronger inventer instead of 2.5 Kw one. I recommend 3.6 Kw and build a single system with two inverters, one on each roof. The size of this system is sufficient to cover the most of the electrical appliances at home. If there is no place for CIGS, it remains to use silicon panels. I created forum for your questions and answers. As a PV seller E-shop I have a great access to many experiences. 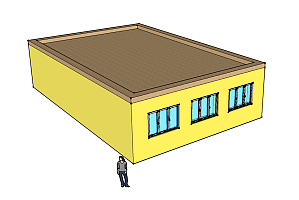 Flat roof gives the possibility of placing panels in a slightly tilted design covering the whole roof. With an angle of about 15 degrees, the system generates electricity during the year with full light exposure. If you have a large roof, I recommend the usage of technology, thin-film CIGS panels. (With a small roof, then comes the silicon panels). Instead of slight inclined panels they can be built in at an angle 35-45 degrees in several lines behind the construction. This system is used in large halls, where there is a lot of space. Optimal spacing between lines of panels are in fact apart at a distance of 4 m at a height of 1 m panel. It can be calculated and displayed in a 3D model, which we make for each one assembly. 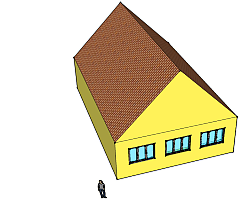 It is always best to study every roof and its orientation and prepare the 3D model with the optimal layout of panels due to the chimney, surrounding roofs and buildings. 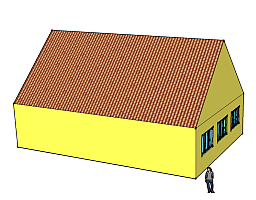 We can use silicon panels at a small roof in purpuse to have higher output. I created forum for your questions and answers. As a PV seller E-shop I have a great access to many experiences.